F-15 Silent Eagle, being an evolution of capable multirole aircraft, is definetly a better option than the F-35 which is basically a (barely) self-defensible bomber / ground attack aircraft. Thus no surprise that Israel, which actually has to have a capable air force, and already has both F-15 and F-16 in its inventory, is considering it – wether US diplomatic pressure will force it to buy the F-35 remains to be seen. This entry was posted on November 5, 2015 at 6:07 pm	and is filed under Uncategorized. Tagged: acquisition, F-15 Silent Eagle, F-15SE, Israel. You can follow any responses to this entry through the RSS 2.0 feed. You can leave a response, or trackback from your own site. I think everyone here will agree that Israel, if they want an existing US aircraft, should choose the Silent Eagle, exception of good surprises from F-16V or incredibly good surprises from Advanced Hornet. Agreed. Though I don’t think Hornet would be a good choice, especially if it is a Super Hornet variant. Anyway, it is nice to see the F-15s still got life in it – that bird was my first love as far as military aviation goes. the problem with Hornet come from the air-air only or there is a real problem in air-ground strike? Didn’t heard it was worst than F-35. So what might happen if the Pentagon rejects Israel’s request for upgraded F15s? They should step lightly as Germany is already building ships for their Navy. I don’t know. They might decide to buy the F-35 anyway, or opt for entirely different aircraft (one of Eurocanards, for example, or advanced F-16). an F-16 (Israel will buy American for political/strategic reasons) with modern avionics and engine would be the best bet I think. but, if you need longer legs and weapons load F-15SE can fill that role. 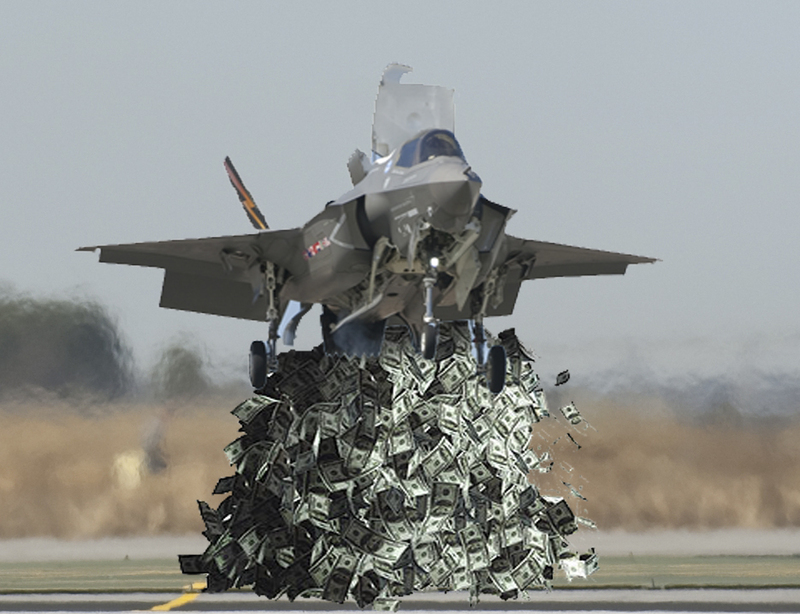 F-35 is overpriced. But, for penetrating Iranian airspace (that will be defended by newer Russian air defenses) and performing precision strike, F-35 would be most capable aircraft available in world market. If the logistics of it works, I would buy a handful of F-35 if I were Israel. I was hoping LRS-B might be something like an enlarged F-22 platform with open architecture and incorporating the best AtG avionics/sensors available at time of production. But it will probably end up being over engineered and over-priced corporate windfall. Israël should take the French RAFALE , Israël got one good experience with dassault mirage3/4 in the 6 days war . We know Israel has to buy American for strategic reasons. But, If we are gonna talk ideal scenario I would go with Gripen. Cheaper, more maintainable, higher sortie rate, more survivable on the ground, Etc. Agreed, though it is a bit disadvantaged as it has quite a few US parts. So US can pull tricks to cheat it out of exports, as they did in Norway. I agree, but politics typically play bigger role in weapons deals than hardware quality. Well, Suffren, the had Mirage IIIC and 5. Only France had M-IV. They also had Mystère IV, Ouragan, Super-Mystère B2, Vautour and when DeGaulle pulled out to pursue an Arab-oriented politic, they reverse-engineered Mirages to build the Neshers and Kfirs… They also used Noratlas, Norécrin, SOCATA Rallye & Trinidad, Fouga Magister (there was one of their for sales a few month ago for 30k€), Alouète II, Super-Frelon, Dauphin, Panther. I have always been fascinated as to why Israel never bothered with developing their own close air support. a) Militaries which faced a big tank threat either because of the numbers of the opposition or the quality of their crews. Here we have as examples the Soviets developing the Il-2 to reduce the threat of the very competent tank crews of the Germans, and the Germans developing the Ju-87G, and Hs-129, to face the tide of soviet tanks and the US developing the A-10 to face the threat of tides of soviet tanks flooding thru the Fulda Gap. b) Militaries which faced overwhelming infantry numbers or guerrilla tactics. Here we have as example the US bring back the Skyraider for the Vietnam war and the Soviets developing the Su-25 during the Afghan war. Israel was in neither case. The Arab tank threat while great in number was so inept that it could easily be contained by the Israelis own tank corps, and while they faced guerrilla tactics from the 80s on, the political climate required more intervention thru police action then the overwhelming firepower of a CAS aircraft. Good observations Andrei, although I still think that the Israeli military could have benefited from a CAS aircraft either way. Although I strongly disagree with what they have done with the Gaza Strip and their other actions, strictly from a military standpoint CAS has proved useful even in guerrilla and counter guerrilla wars. Probably. But lately most of their operations have been confined to urban spaces and police actions. An aircraft like the A-10 would be overkill in such situation and would not guarantee lack of collateral casualties. Even their use of Apaches, with much less firepower, is very controversial. The US use of A-10 in Afghanistan, Iraq and Syria is mostly “confined” to rural spaces. For urban spaces, to limit collateral casualties one needs a bomb falling straight down on an offending building. The A-10 oblique cannon shots would most likely guarantee that the building gets raked and adjacent buildings are hit. … and this is why the US is facing serious financial problems. I just hope that Canada can avoid the F-35 mess. It seems to be getting worse by the day. Politically Israel not wanting the F-35 might be very good. It could weaken support in the US, especially given the nature of Israel’s relationship.